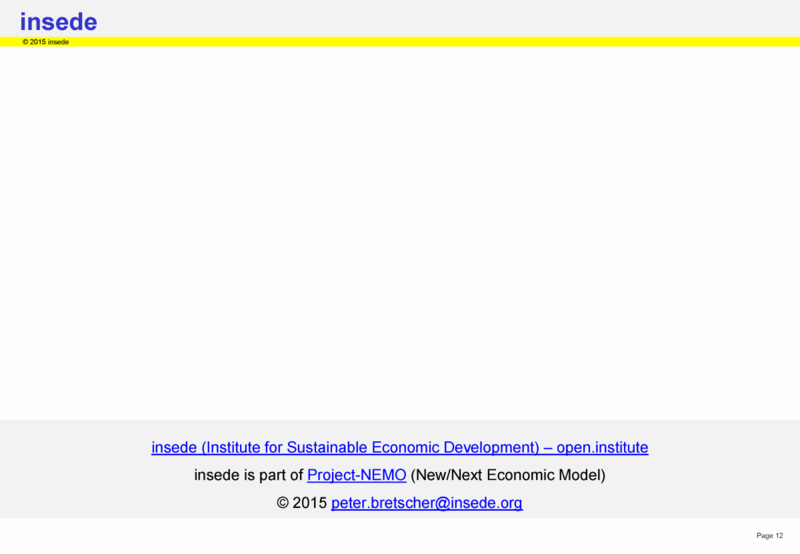 Problem: Systemic failure in the base of (economists) world view. Decision making is based on own experiences, informations, rules, methods and expectations. 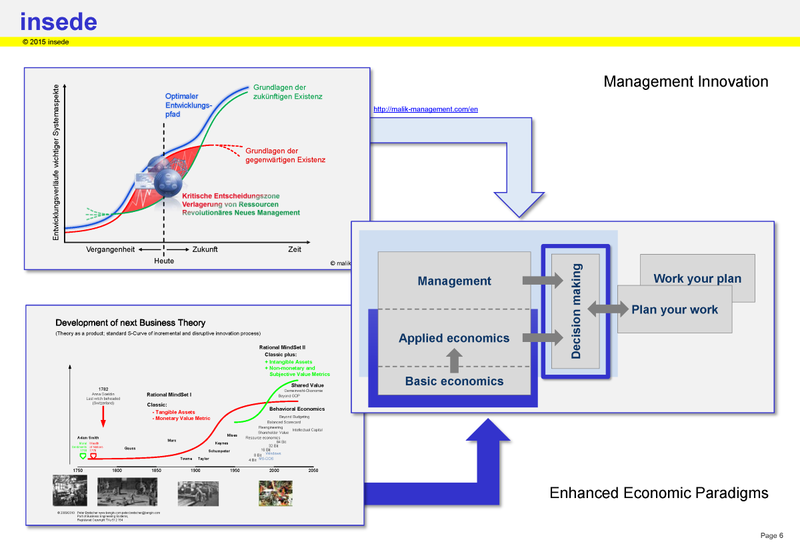 The current situation in the models (rules, methods...) for explaining the economy is comparable to the earth-centered view before the 16th century. Certain phenomena can not be explained on this base. Only when Copernic presented his heliocentric model it was possible to solve some issues with the old model. 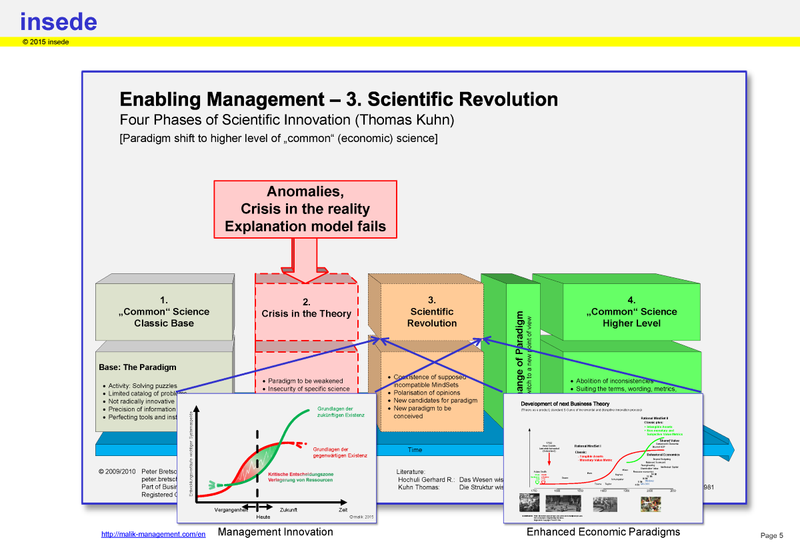 Today's economic models are based on fundamentals that were written down in the 18th century, where people were less educated and products were tangible. Slavery was common and witches were burned. Reality in nations and enterprises has changed much since then. But the base of our economic thinking never was upgraded to fit today's options and needs. 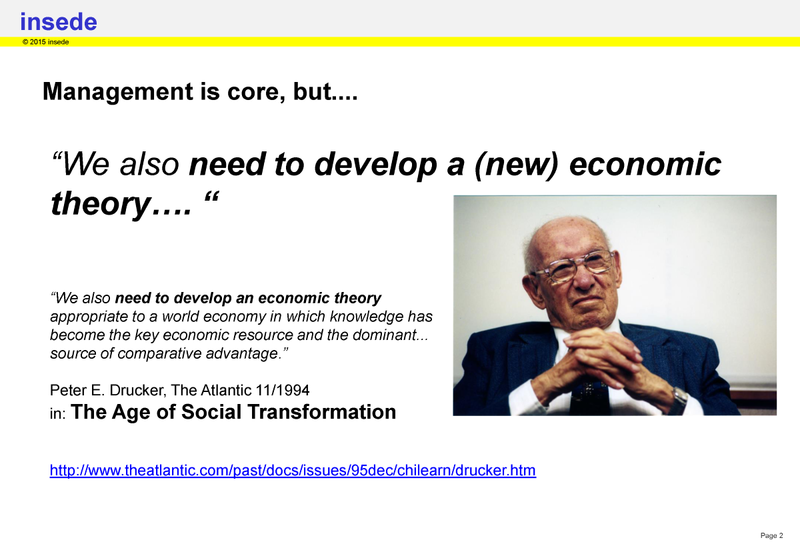 Peter Drucker, the most prominent thinker and writer about management mentioned 20 years ago that innovations in management thinking only is not enough. It needs a new economic theory too. 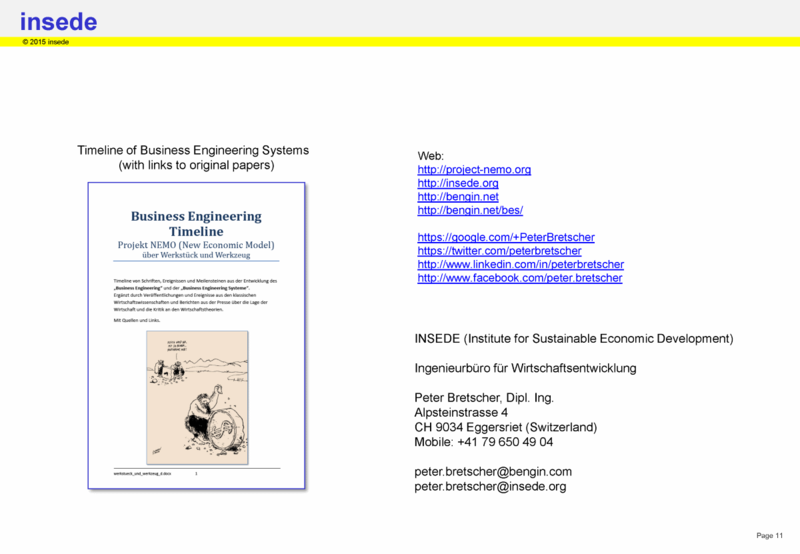 Below you find some visualizations about how simultaneous inventions in the two dimensions of (a) management and (b) economic thinking are influencing decision making. 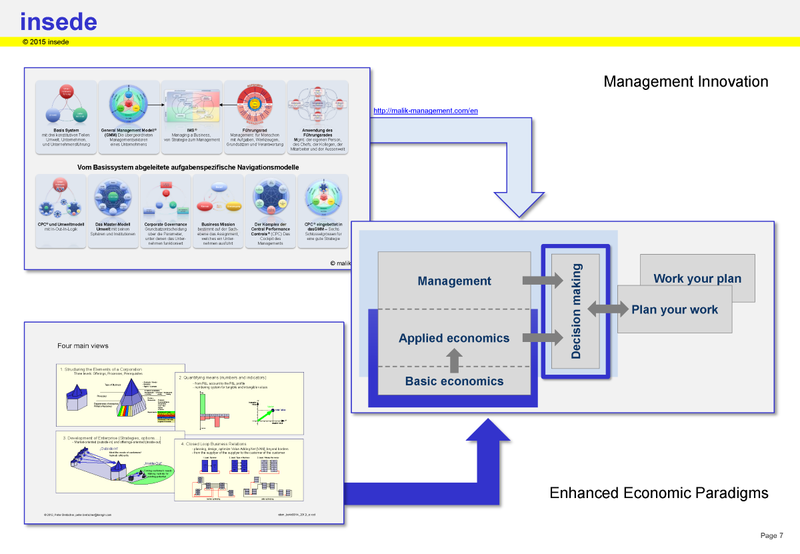 Debugging the base of old economic models removes some old restrictions (by old economic paradigms) in decision making. It enables more sustainable results. 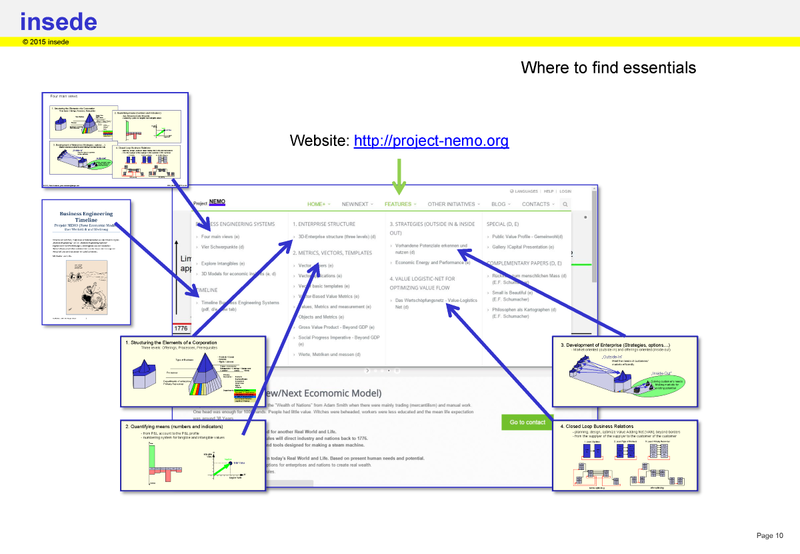 To bypass old restrictions we started "Project NEMO" (New/Next Economic Model). Its purpose is to disclose the options for better solutions that are already available - and to enable and support future development. You may download the pictures below as Powerpoint pptx here or the Adobe pdf here. 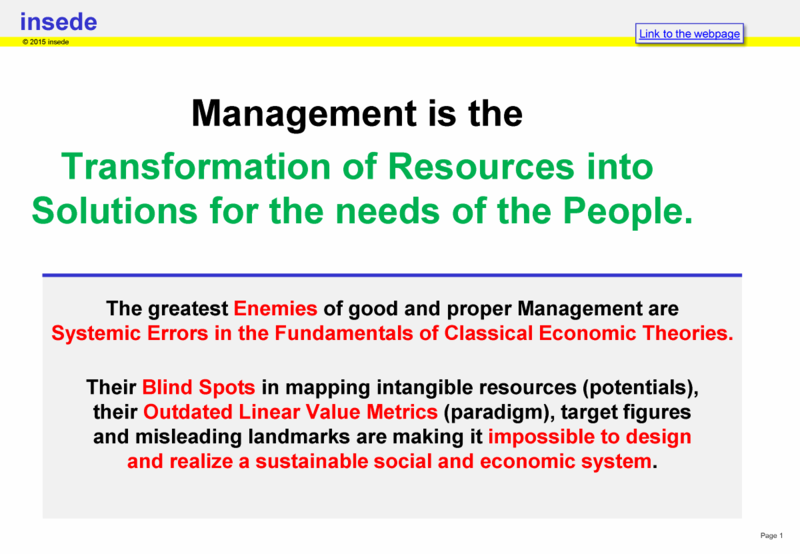 Management is the transformation of resources in benefits. 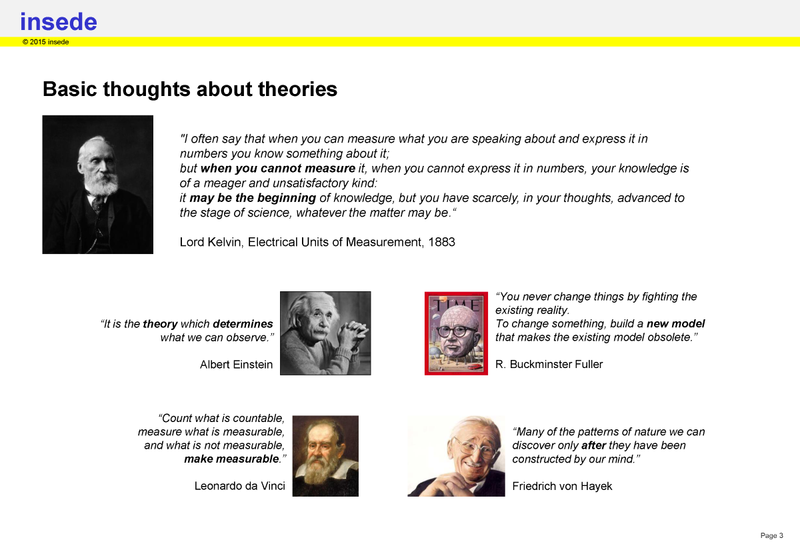 Classic thinkers about importance of and requirements to the theories. Factors that influence decision making and planning. 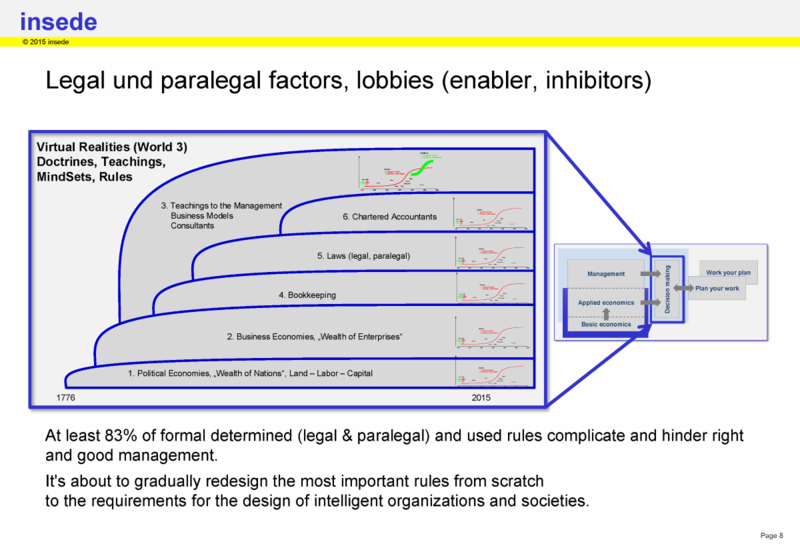 Where mindsets influence (i) decision making, (i) planning, (iii) work. 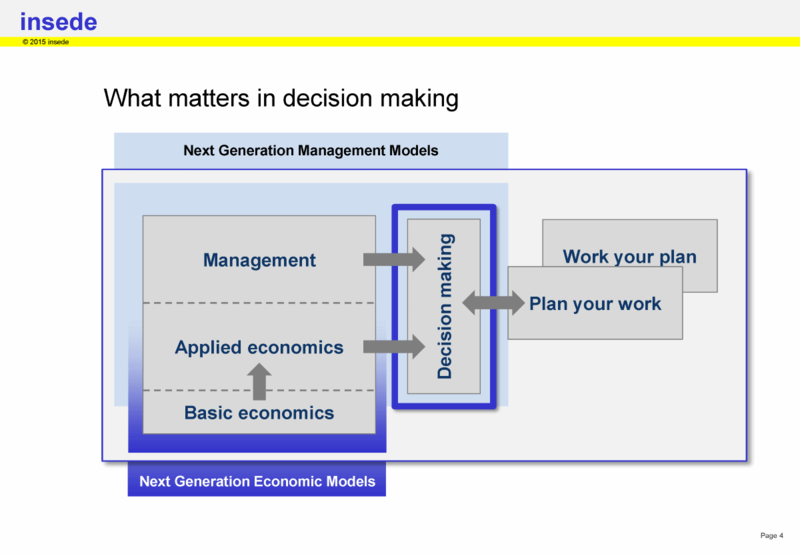 Next gen. decision support: enhanced (i) management, (ii) economics. Experts that hinder or enable better decisions. 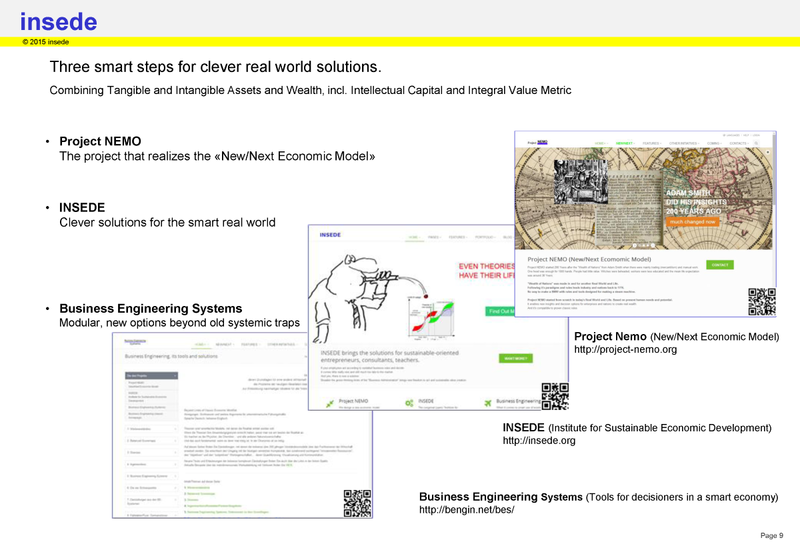 Three projects for "Next Economic Model". Where to find more on this web page. Take advantage of next level tools.